Doctor of Philosophy (Ph. D), Social Anthropology, Southern Illinois University, Carbondale, Illinois, USA, 1968. Master of Science (M.Sc. ), Anthropology, from Ranchi University, Ranchi, Gold Medallist, 1962. Bachelor of Science (B.Sc. ), Physics, Chemistry and Mathematics from Bihar University, Tata College, Chaibasa, 1960.
International Human Resource Management, Cross Cultural Management, Behavioural Sciences in Management, Group Dynamics, Organisation Theory and Design, Organisation Development, Sensitivity Training, Communication, Personnel Management, Industrial Relations, Leadership, General Management, Research Methodology, People and Cultures of India and Africa, History of Sociological and Anthropological thought, Social Anthropology, Processes of Social Change, and related fields. Chair, Faculty Selection and Development and Deans Council, International Management Institute, New Delhi. 2011- present. Chair - OB HR, International Management Institute, New Delhi. 2008-2011. Dean (Students Welfare), International Management Institute, New Delhi. 2005 to 2008. Director, Fellow Programme in Management (FPM), International Management Institute, New Delhi, 2002 to 2004. Dean (Academic), International Management Institute, New Delhi, 2002 to 2004. Program Director (PGPIM and PGP), International Management Institute, New Delhi, 1997 to 2001. Founder Dean (Executive Head), Institute for Integrated Learning in Management, New Delhi: July 1994 to December 1995. Director, Fore School of Management, New Delhi, December 1993 to February 1994. Programme Director, PGPIM, International Management Institute, New Delhi : 1988-90, 1997-99. Founder Head, Human Resources Training & Development Department (PP&S), Bharat Heavy Electricals Ltd., New Delhi : 1977. Founder Head, Education and Training Wing, National Labour Institute, New Delhi : 1974-77. Group Coordinator, Behavioural Sciences Group, Indian Institute of Management, Calcutta : 1973-74. Chairman, Consultancy Services, Indian Institute of Management, Calcutta : 1973-74. Founder Chairman, Doctoral Programme in Management and related disciplines, Indian Institute of Management, Calcutta : 1971-72. 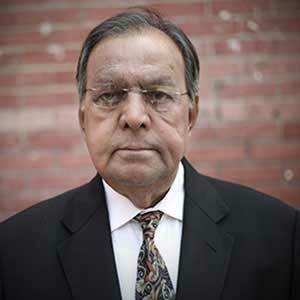 B. K. Srivastava has been with IMI since July 01, 1986. His areas of interest are Organization Development & Change Management, Organization Design & Restructuring, Participative Management, Human Resource Management Policy & Strategy, Normative Approach to Industrial Relations and Training & Development. Has been involved in teaching, research and consultancy activities in India, U.S.A, Canada, Europe and Africa for over three decades. His assignments include Dean, Institute for Integrated Learning in Management, New Delhi; Director, FORE School of Management, New Delhi; Professor, IIM Calcutta, University of Northern Iowa, Southern Illinois University; Dy. Director, Public Enterprises Center for Continuing Education, New Delhi; Senior Fellow, National Labour Institute, New Delhi; Commonwealth Advisor and Principal Consultant Eastern and Southern African Management Institute, Arusha, Tanzania; Visiting Professor/Fellow at International Centre for Public Enterprises, Lublijana, Slovenia; McGill University, Canada; and Foundation for Business Administration, Holland and U.K.
His consultancy assignments cover vision building, strategic management, organisation restructuring, organisation development, work re-design and QWL, leadership and team building, appraisal and counseling, organisational and interpersonal communication, training and development, HRD strategy, improving work cultures, participative management, trade union leadership development; normative approach to industrial relations, relationship management, etc. Performance Management System: Readings and Cases with Mamta Mohapatra, (edited) Excel Books, New Delhi, 2013. Capability Building for Cutting Edge Organizations with Mamta Mohapatra, (edited), Excel Books, New Delhi, 2013. Organization Design and Development, New Delhi, Biztantra (Wiley) Publications, New Delhi, 2007. Personnel Management and Human Resources with C.S. Venkata Ratnam, Tata McGraw Hill Education Pvt. Ltd., 1991. Mahatma Gandhi and Social Sciences, Book Hive Publications, Co-editor : 1970. Social Structure and Social Organisation of the Oraon : A Study in Change and Stability. Ph.D. Dissertation, Southern Illinois University, Carbondale, University Microfilms, Ann Arbor, Michigan : 1968. Construction of a Reliable and Valid Scale for Measuring Organizational Culture with Somonnoy Ghosh, Global Business Review, Vol. 15, No. 3, pp. 583-596, September, 2014. Performance Management: An Overview, with Mamta Mohapatra, Chapter in Edited Book ‘Performance Management System: Readings and Cases’, Excel Book, 2013. Capability Building for Cutting Edge Organizations in New Business Order, with Dr. Mamta Mohapatra, Chapter in Edited Book ‘Capability Building for Cutting Edge Organizations’, Excel Book, 2013. Legitimacy to Employee Voice: Role of Process Intervention with Mamta Mohapatra, Indian Journal of Industrial Relations, Vol. 49, No. 2, pp. 197-212, October, 2012. Career in Consultancy: Problems and Prospects for Women in India with Mamta Mohapatra, Management and Labour Studies (XLRI), Vol. 36, No.1, pp. 31-44, February, 2011. Consulting in Management- An emergent career option for Women with Mamta Mohapatra, Consulting Ahead, 2010, Vol. 4(1), pp.40-51. Managing Change in Times of Turbulence, New Horizons of Business Thought, Vol.1, pp. 87-97, Jan-Dec, 2009. Employee Engagement: An Approach to Human Capital Development with Mamta Mohapatra, IMI Interface, IMI In-house Magazine, 2008. ‘Human Resource Development: Emerging Perspectives on Training and Employability’ included in a Book entitled Human Resource Development: Challenges & Opportunities, author: Neelu Rohmetra, Anmol Publications Pvt. Ltd., New Delhi, 2005. Leadership in the Emerging Business Scenario in Growth, Journal of the Management Training Institute, SAIL, Management Training Institute, Ranchi, Vol. 33, No. 2 July-Sept., 2005. Chapter on ‘Indian Environment – The Changing Scenario’ In Social Processes and Issues, Indira Gandhi National Open University (IGNOU), New Delhi, December, 2003. Chapter on ‘Social Issues and Organizational Relevance’ – The Changing Scenario In Social Processes and Issues, Indira Gandhi National Open University (IGNOU), New Delhi, December, 2003. Chapter on ‘Organization Values and Work Ethics’ – The Changing Scenario In Social Processes and Issues, Indira Gandhi National Open University (IGNOU), New Delhi, December, 2003. Book Review of James M. Hunt and Joseph R. Weintraub, The Coaching Manager: Developing Top Talent in Business. New Delhi: Response Books (a division of Sage Publications), 2002. In Global Business Review, Vol. 4, No. 2, July – December, 2003, Sage Publications. Paradigm Shift and Dimensions of Work Culture: Implications for Organizations co author with Ms Mamta Panda. In Global Business Review, Vol. 4, No. 2, pp.285-310, July – December, 2003, Sage Publications. Book Review of Business Ethics: Ethical Decision Making and Cases (fifth Edition), Ferrell O.C. ; Fraedrich, John; Ferrell, Linda, Houghton Mifflin Co., Boston, New York for Allied Publishers Pvt. Limited, 2003. Book Review of Human Resource Management, DeNisi, Angelo S.; Griffin, Ricky W., Houghton Mifflin Company, Boston, New York for Allied Publishers Pvt. Limited, 2003. Work Motivation in Mirza Saiyadain (ed. ), Organisational Behaviour, New Delhi, Tata McGraw-Hill, 2003. Organisational Communication in Mirza Saiyadain (ed. ), Organisational Behaviour, New Delhi, Tata McGraw-Hill, 2003. Managing from the Heart by Arun Wakhlu, Book Review in Global Business Review, July – December, 2000, Sage Publications. Powerlessness in Organisations and Alienation of the Middle Managers. Growth, Journal of MTI, SAIL, Ranchi; Oct- Dec Vol. 24 No. 3, pp 3-8, 1996. HRD Policy Options: Training Needs and Employability, Background Paper, Federation of Indian Chambers of Commerce and Industry, New Delhi : 1994. Participative Mechanisms for involvement of Employees for higher productivity through new technology. Indian Ports, 19, 2:43-49 : 1986. Quality circles as problem solving groups : The Role of Group Processes. Towards Continuing Education, PECCE, New Delhi, 5-6 : 10-12 : 1985. Promoting a culture of discipline : Managerial Role. Towards Continuing Education, PECCE, New Delhi, 6-9 December : 1985. Participative Management in Public Enterprises: Report of the workshop. Towards Continuing Education, PECCE, New Delhi: 1984. Making Participation work reprinted in Towards Continuing Education, PECCE, New Delhi. March 4 : 9-12 : 1984. Making Participation Work; Case Study of Implementation of the Government Scheme; National Labour Institute Bulletin, Vol. 2 No. 11 New Delhi Nov: 1976 pp 425 - 441. Conditions and Organisation of Work. National Labour Institute Bulletin, New Delhi 2.2 February pp 41 - 55. Also published occasional paper No.3/76, National Labour Institute, and included in book entitled “Report on seminar on quality of Working Life” held at Bombay on February 9 and 10, 1976. “Towards a participative system design, the case of National Labour Institute”, National Labour Institute Bulletin, New Delhi, 1.7 July : 1975. “Review” Emery Fred: “Futures we are in”, National Labour Institute, National Labour Institute Bulletin, New Delhi, Vol.1 No..6 pp 18 -22, June : 1975. “Rural Camp at Bana Nabagram : Some Observations”. National Labour Institute Bulletin, New Delhi, 1.3 March : 1975. “Development Programme for the Trade Union Leaders : Some Observations”, National Labour Institute Bulletin, 1.1 January : 1975. “Education Programme for Leaders of Peasant Organisation”, paper presented at the workshop on Peasant Organisation in India. National Labour Institute, National Labour Institute Bulletin, October 27-28 : 1975. “Management of Organisation Conflict : Role of Process Intervention”. Decision, Journal of Indian Institute of Management, Calcutta, 1.1. : 1974. “An Integrated Summary of the Proceedings of the All India Seminar on Gandhi and Social Sciences”, presented at the concluding session of the seminar, Ranchi University : 1969. “An Anthropological Approach to the Study of Social Change in India” - paper presented at a seminar on research methodology, Ranchi University, included in book by L P Vidyarthi, ed. Research Methods in Social Sciences : 1968. Report on Employee Satisfaction Survey, REC, New Delhi, 2013. Report on Status of Woman Consultants in India: Issues and Challenges, CDC, New Delhi, 2009. Report on Workshops on Leadership Development for Members of Joint Councils: Observations and Recommendations, NTPC , New Delhi, April 2002. Report on Leadership Development Programmes: Observations and Recommendations, Pepsico Ltd., New Delhi, 1999. Report on Diagnostic Study of Bharti Healthcare Ltd., Dharuhera; Bharti Enterprises, New Delhi, 1999. Organisation Redesign of Cyber Media (India) Ltd., New Delhi: 1996. Organisation Analysis and HRD Strategy, Maharashtra State Electricity Board, Bombay : 1993. Report on Organisation Analysis, Work System Analysis and Human Resource Development Strategies in Maharashtra Electricity Board, Bombay, 1992. Report on Pilot Training and Communication Projects in four states; UNICEF, New Delhi : 1991. Effective Functioning of Joint Management Councils : Report of the in-company workshop. Mimeo, PECCE, New Delhi : 1984. Note on Employees’ participation in Management of Public Enterprises. Mimeo, PECCE, New Delhi : 1984. Corporate Planning : the concept and process. Mimeo, Eastern and Southern African Management Institute, Arusha, Tanzania : 1983. Management of Human Resources : Emerging Trends. Mimeo, Eastern and Southern African Management Institute, Arusha, Tanzania : 1982. Improving Adaptive Capabilities of Social Systems. Mimeo, Eastern and Southern African Management Institute, Arusha, Tanzania : 1981. Work Motivation. Mimeo, Eastern and Southern African Management Institute, Arusha, Tanzania : 1980. Leadership Style and Concept. Mimeo, Eastern and Southern African Management Institute, Arusha, Tanzania : 1979. Training as a strategy for Organisation Design. Mimeo, 20 pp, Bharat Heavy Electricals Ltd., New Delhi : 1977. Organisational diagnosis and plan of action for increasing effectiveness in a large public undertaking. Mimeo, 10 pp. National Labour Institute, New Delhi and Indian Institute of Management, Calcutta, Co-author : 1976. “Supervisory Development Programme : Training Needs Assessment and Plan of Action”. Mimeo, pp. 30, Bharat Heavy Electricals Ltd., Bhopal : 1975. “Report on the Consultancy project on effective working of public Tea Ware Houses”, Mimeo, pp. 20, Tea Trading Corporation of India, Calcutta : 1975. “Report on the Restructuring of Academic and Administrative Functions”. Mimeo, pp. 10, Indian Institute of Management, Calcutta : 1974. “Report on the Diagnosis of Organisational Problems and Plan of Action”. Mimeo, pp. 12, Bharat Heavy Electricals Ltd., Bhopal : 1974. “Developmental Counselling”, Mimeo, pp. 10, National Labour Institute, New Delhi : 1974. “Report on Diagnosis of Management Problems and Plan of Action”. Mimeo, pp. 10, Rohtas Industries, Dalmianagar : 1973. “Organisation Design and Action Plan for Setting up a Centre for the Study of Commitment to Work”. Mimeo, pp. 8, Indian Institute of Management, Calcutta : 1973. “Report on Diagnostic Study of Management and Industrial Relations Problems and Plan of Action”. Mimeo, pp. 10, Mining and Allied Machinery Corporation, Durgapur : 1972. “Conceptual Bases of Problem-solving in Small Groups : A Search for Empirical Regularities”. Mimeo, pp. 10, Indian Institute of Management, Calcutta : 1971. “Socio-cultural Life of the Azande of West Africa”. Mimeo, pp. 40, Southern Illinois University, Carbondale : 1966. “West African Primitive Art”. Mimeo, pp. 15, Southern Illinois University, Carbondale : 1966. “Functionalism in Social Sciences”. Mimeo, pp. 20, Southern Illinois University, Carbondale : 1965. “Sociological Theories of Max Weber and Talcott Parsons”. Mimeo, pp. 25, Southern Illinois University, Carbondale : 1965. Caste System in India : A Study in Change and Stability. Mimeo, pp. 25, Southern Illinois University, Carbondale : 1964. The Changing Oraon : Its Material Culture, Social Life and Religion, unpublished Master’s Field Report, Ranchi University, Ranchi : 1962. Project Director, “Status of Women Consultants in India” sponsored by Consultancy Development Centre, New Delhi. Project Director of Research Project on ‘Work Culture in Indian Organizations: Need for a New Cultural Paradigm – Northern Region’ sponsored by Indian Society for Training and Development (ISTD), New Delhi. Project Director of Research Project on `Work Culture Across Regions in India: Need for a New Cultural Paradigm’ sponsored by International Management Institute (IMI). Project Director of various Rural Development Projects dealing with communication and training support for management of nonformal primary education, and operationalization of institutional mechanism for training & communication support systems at state level, sponsored by UNICEF, OXFAM etc. Carried out field research on Organisation Analysis, Work System Analysis and Human Resource Development Strategies in Maharashtra Electricity Board, Bombay. As Adviser in Training Techniques provided assistance to colleagues and participants in Post Graduate Diploma in Management at ESAMI, Arusha, in developing research proposals and designing appropriate research instruments in the areas of identification of training needs, organisation diagnosis and managerial effectiveness, extent of job satisfaction, leadership styles and organisational effectiveness, manpower planning and development, training policy, and other fields relating to Human Resources Management and Development. Carried out action research on formulation and implementation of scheme on workers participation in management; restructuring of work systems; and organisation change and development in a number of private and public sector enterprises and departments of the government, such as, Indian Aluminium Co. Ltd., Bharat Heavy Electricals Ltd., Post and Telegraph Department, Indian Oil Corporation Ltd., Bongaigaon Refineries Ltd., etc. Carried out diagnostic study of organisational problems and development of appropriate intervention strategies in a number of industrial organisations such as various plants and divisions of Bharat Heavy Electricals Ltd., Tea Trading Corporation, Rohtas Industries, Mining and Allied Machinery Co. Ltd. Designed instruments for and conducted training/development needs survey including devising of training strategies for managerial and supervisory staff of various organisations. Developed research proposals, designed appropriate research instruments and assisted colleagues in data gathering and analysis in the areas of Quality of life in an Industrial township, attitude towards quality of working life, family planning and change, extent of Job satisfaction and motivational factors: a comparative study of public sector managers and government officers, etc. As Deputy Director, Research Project on Students unrest in Chotanagpur (sponsored by the University Grants Commission), developed project proposal, devised instruments and provided guidance to Research Assistants in data collection and data analysis. Conducted field research among a number of semi-urban, rural and tribal communities in India including Maithil Brahmins, Oraon, Caste structure in a small town in Bihar. Also worked as Research Assistant to a US National Science Foundation Fellow at Ranchi university and conducted field work in tribal villages. Conducted library research on Sociological theories of Max Weber and Talcott Parsons, Functionalism in Social Sciences, Slave Trade in the West Indies, Social change in West Africa, Dynamics of Caste System in India, and other topics relating to social Anthropology and Sociology. Research guide to students enrolled for Ph.D. degree and Fellow Programme (equivalent to Ph.D.) in Anthropology and Management at Ranchi University, Indian Institute of Management, Calcutta; Aligarh Muslim University, GGS Indraprastha University, Utkal University and International Management Institute, New Delhi. External examiner for Ph.D. Thesis for several Universities/Institutes. Provided professional guidance to post graduate diploma students at Institute for Integrated Learning in Management, New Delhi; International Management Institute, New Delhi; Indian Institute of Management, Calcutta; Eastern and Southern African Management Institute, Arusha, Tanzania; and research staff of the National Labour Institute, New Delhi, on research/action research on work redesign, motivation and job satisfaction, quality of working life, organisation development, supervisory training, Industrial Relations , Assessment of training needs, corporate culture, organisation design and structure and various aspects of personnel management, industrial relations and organisational behaviour. Provided professional guidance to post-graduate students in Anthropology towards carrying out field work and writing field reports and dissertations. Consultant to REC for designing and conducting Employee Satisfaction Survey for executives and non-executive staff. Consultant to CDC to carry out the study on Status of Women Consultants in India. Consultant to NTPC in institutionalisation of participative culture in various regions and plants in India. Consultant to Discovery Outbound Training Group in designing and conducting the outbound training programmes on Leadership, Team Building, Self Discovery and Personal Growth, Risk Taking and Empowerment etc. for top and senior level executives of multi-national and national corporations. Consultant to Cyber Media India Ltd. in the areas of organisation restructuring and manpower training and development. Consultant to Cadbury India Ltd. in the areas of Vision building, Human Resource development and Industrial Relations. Consultant to Maharashtra State Electricity Board (MSEB) in areas of HRD strategy and organisation restructuring. Consultant to Eicher Group of Companies in the area of normative approach to Industrial Relations. Consultant to Indian Aluminium Co. Ltd., TISCO and TELCO in the area of Organization Development (OD). Worked as Consultant and provided training inputs in various industrial and commercial organisations in India including Bharat Shipyard Ltd., Indian Aluminium Co. Ltd., Bharat Heavy Electricals Ltd., Tata Iron and Steel Co. Ltd., Tata Engineering and Locomotive Co. Ltd., State Bank of India, Mining and Allied Machinery Corporation of India Ltd., Engineers India Ltd., Madras Refineries Ltd., Modi Rubber Ltd., India Foils Ltd., Modi Olivetti, Eicher Goodearth Ltd., Indian Oil Corporation Ltd., Indian Shaving Product Ltd., SAIL, Bharati Enterprises, Triune Projects, Maruti Udyog Ltd., Pepsi Foods Ltd., American Express, several companies of Birla group, Reckitt & Coleman, Smithklina Beecham, NTPC, Apollo Tyres, National Panasonic, Modi Entertainment, MMTC, DIAL(GMR), Tata Power, ONGC, REC and practically all major public and private sector companies in India. Consultant to public and private sector enterprises and the Ministries/Departments of the Government in assessing the training needs of their employees and devising appropriate training strategies on long-term basis. Consultant to public sector enterprises like Bharat Heavy Electricals and Government Departments like Post and Telegraph on redesigning the work system with a view to enriching the quality of working life of their employees. Consultant to Bharat Coking Coal Ltd., a public sector undertaking in revitalising personnel and industrial relations function through appropriate organisation design and Behavioural Science based skill and knowledge. Consultant to Power Projects Division of Bharat Heavy Electricals Ltd., in personnel management, organisation development and management training. Consultant to National Labour Institute, New Delhi and Indian Institute of Management, Calcutta on developing appropriate organisational and administrative designs. Provided assistance in the re-organisation of academic and general administration at the Institutes. Designed and participated as a member of Faculty in a number of Executive Development Programmes organised by International Management Institute, India, Public Enterprises Centre for Continuing Education, New Delhi. Eastern and Southern African Management Institute, Arusha, Tanzania, Indian Institute of Management, Calcutta, National Labour Institute, New Delhi, and other institutions for the Executives from Industries, Trade Union Leaders, Officers from the Government Departments and academic institutions. As Advisor in training techniques at Eastern and Southern African Management Institute, Arusha, Tanzania, assisted the professional staff of the Institute in planning, designing and conducting long and short-term education, training and consultancy programmes in areas of organisation theory and design, group dynamics, communication, design and methods of research, personnel management, industrial relations, general management, training needs assessment, corporate planning, training of management trainers, manpower development, planning and policy, quality of working life, participative management. Designed and conducted a number of short-term training programmes for the officers of the Labour Department and Labour Directorate, police officers, trade union leaders, journalists, defence personnel, Post and Telegraph department, Department of Personnel, Cabinet Secretariat and other departments and Ministries of the Governments of India, Kenya, Tanzania and Uganda. Designed and conducted training programmes for the organisers of rural labour including landless agricultural labour to help them gain insight into the organising process, acquire leadership and organising skills and raise level of consciousness and social awareness. International Human Resource Management, Cross Cultural Management, Behavioural Sciences in Management, Business Policy and Strategic Management, Managing through Vision and Value, Group Dynamics and Leadership; Organization Design and Development, Human Resource Development; Industrial Relations; Participative Systems Design; Work Commitment and Democratisation of Work Culture; Training and Development; Comparative Management; Planned change in Industrial and Non-industrial Organisations; Sociology of Complex Systems: Social change in India and Africa, Developing Strategic Work Culture, Organisation Restructuring, etc. To devise training strategies and to conduct training programmes in the areas of Trainer Development, Organisation Development, Democratisation of Work Culture, Motivation, Human Resource Development and Industrial Relations for professionals from various fields such as Government, Journalism, Industries, Trade Unions and Education. To design and conduct training programmes for organisers of rural labour, and staff and officers of such Institutions as are engaged in rural development so that an integrated and action oriented approach to rural development can develop. Action research on Organisation Design and Restructuring, Organisation Development, Quality of Working Life, Participative Systems in rural/urban/ industrial sectors, Vision building, normative approach to Industrial Relations, Creating Corporate Culture of Excellence. Member, Advisory Board, Indian Management, a Journal of All India Management Association, New Delhi : 1989-1993. Issue Editor, Towards Continuing Education, Public Enterprises Centre for Continuing Education, New Delhi : 1985. Member, Editorial Board, National Labour Institute Bulletin, New Delhi : 1975. Awarded Southern Illinois University Graduate Fellowship : 1966. Awarded Ranchi University Gold Medal for securing First Class First in the combined Master of Arts and Science Examinations in Anthropology : 1962. Awarded a certificate and prize for the best performance in Anthropology courses, Ranchi University : 1961.